Blog The Gecko on the trail of Split’s museums. The Gecko on the trail of Split’s museums. Salona was back in the 2nd and 3rd centuries AD a real cosmopolitan Dalmatian metropolis with 62 thousand inhabitants. The first of Split’s museum was founded in Renaissance period by Split nobleman and humanist Dominik Papalic (today the Split City Museum -see below) in 16th century. In his private palace he gathered a wide collection of ancient inscriptions, he found exploring through the ruins of Salona. Keep in mind – Most of Split Croatia museums and galleries are closed on Sunday. One of the most memorable characteristics of Split city is Diocletian’s Palace, the historical urban core and unique museum, under the open sky. Inside this palace measuring 175-181 x 216 meters, one can find spectacular works of art in stone and wood from Split cathedral made by master Andrija Buvina in 1214 with the Mausoleum built by Emperor Diocletian. The perfect and unique combination of Romanesque and Roman architecture is breathtaking and its actually lived in – nothing else like it on earth. 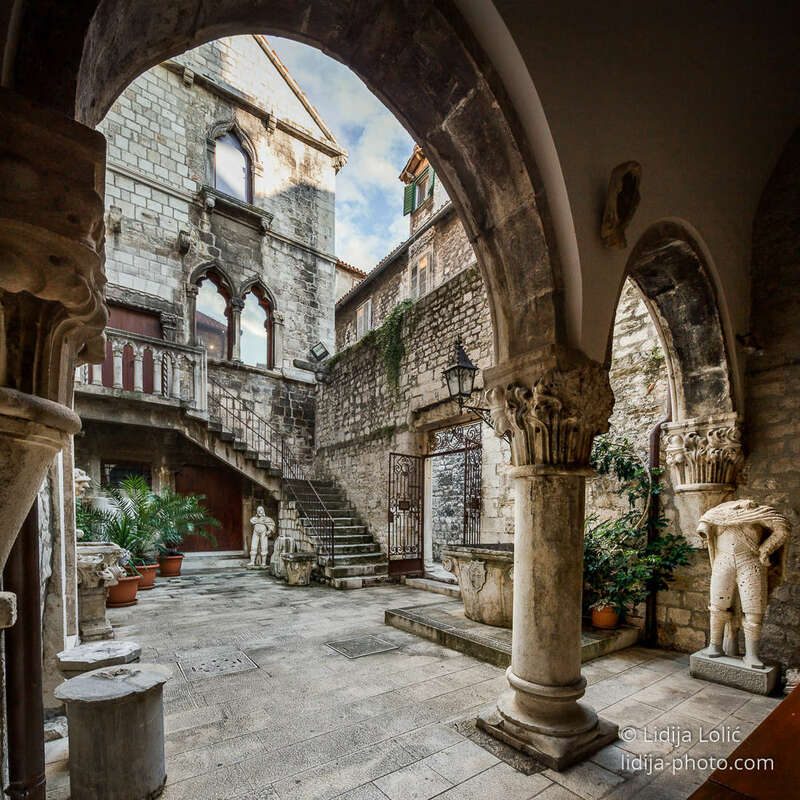 Works in stone, marble and wood created in Split from the ancient times to the present day are visible on the houses, facades, courtyards and in the historical core of the city, mostly built in the Romanesque and Gothic styles, a true masterpieces of urban culture. 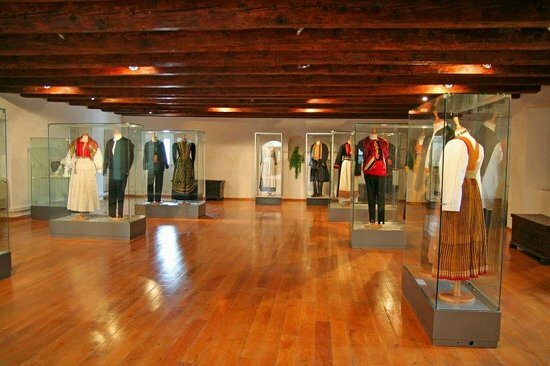 Located inside the old palace, it is one of the most important and visited Split Croatia museums. The collection of cultural and museums activities are associated with the Papalic palace that houses the Museum of the City of Split. In the late 15th and early 16th century in this remarkable Gothic-Renaissance palace, which belonged to a noble family Papalić Split, was a collection of ancient stone monuments from Salona. The museum also contains a gallery of Emanuel Vidovic, dedicated to the most important Split painter of the 20th century and one of the foremost protagonists of Croatian modern painting. Split’s city museum is worth a quick look both to wonder at the collection of medieval weaponry and to see the interior of this splendid 15th-century town house. The dining room, on the first floor, is furnished just as it once was when this noble family owned the house, giving some idea of how the nobility lived in those times. The museum address is: Papaliceva ulica 1 Split. Telephone: +385 21 360 171; Website Split City museum. Admission fee is 20 Kuna. Archaeological Museum in Split is the oldest among Split Croatia museums founded in 1820. The original museum building was erected in 1821 along the eastern walls of Diocletian’s Palace, but it soon became too small for the growing number of monuments. The museum’s key historical finds are from the nearby Roman capital of Salona, containing the mosaics,sarcophagi, potteries and a large collection of ancient coins, covering the Greek and Roman periods. It’s located in the vicinity of the National Theatre. It’s a worthy attraction, just a short walk from Split Riva waterfront and the old palace. Museum address: Zrinsko-Frankopanska 25 Street, telephone +385 (21) 329 340. Admission fee 20 Kuna. This museum is one of the almost unknown among Split Croatia many museums, usually rarely visited but considering seafaring tradition in Split, as an integral and inseparable part of city life. The Croatian Maritime Museum is situated in the courtyard of the Gripe Fortress, which played a crucial part in Split’s history, especially during the Cretan war (1645-1669) and during the Turks invasion (in 1657), giving a shelter to the city’s inhabitants. The museum displays development of sailing ships from ancient times through to the age of steam, such as model ships and images of Dubrovnik’s and Boka’s (Montenegro) sailing boats, as well as the other vessels from the Dalmatian area. Especially impressive are figureheads taken from 19th century ships from the island of Korcula. The everyday life of Croatian fishermen is illustrated with the story of the fishing tradition on the Adriatic, and includes exhibits on the coral trade, sponge aquaculture, fish canning factories, as well as fishermen at work and leisure. Visit the museum’s website. 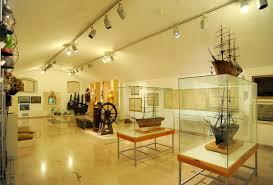 This is one of the most fascinating Split Croatia museums and the oldest museum of its type in Croatia. Founded in 1910, it was located in Pjaca Square and from 2004 the whole museum’s collection moved to today’s position, just behind St.Duje Cathedral. The museum exposes the ethnographic objects from the area of Dalmatia and the wider area. It has a very valuable collections of folk costumes, jewelers, arms, household inventory and traditional handicrafts. Specially interesting are embroidered costumes in the reconstructed rooms of a typical peasant houses. 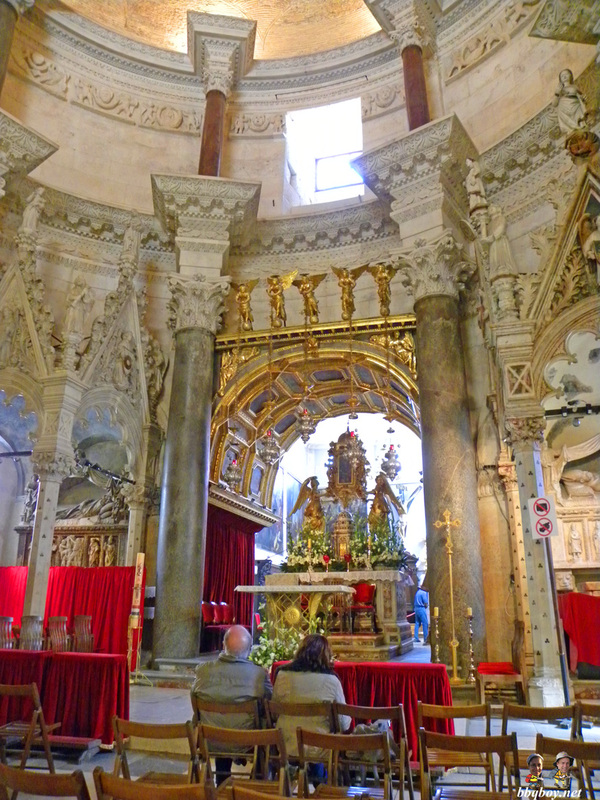 On the first floor of the sacristy is the cathedral treasury which contains relics of Saint Duje, which were brought to cathedral after his death. Admission fee: 10 Kuna. The fee includes entrance to the Cathedral tower bell. Phone: +385 21 342 589. Besides Split Croatia museums, there are some private galleries worth visiting if you are interested in a combination of modern and traditional art. One of them is Jaksic Gallery in Split, recently opened. This great exhibition of paintings, stone sculptures and other art work in family owned art gallery is located in Bribirska street N° 10, telephone +385 21 647 710. 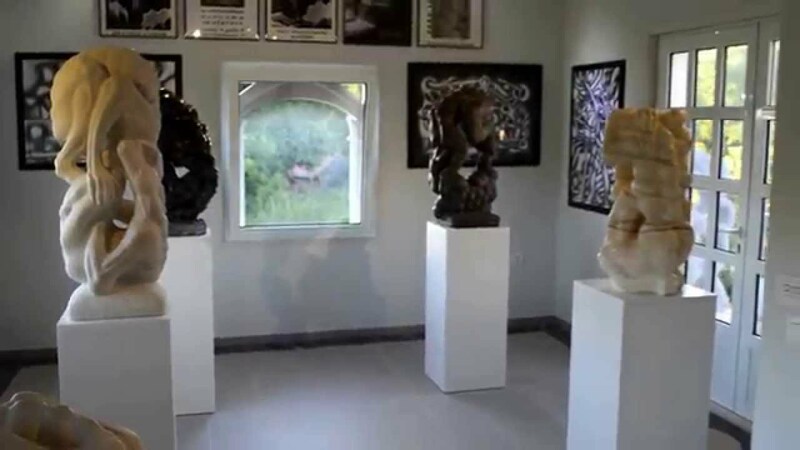 It’s opened from 9:00 – 13:30 and 16:00 – 20:00.The artistic talent of this family amounts to a continuation of their famous grandfather, Lovre Jaksic, an academic sculptor, whose story started in early 60s, creating a small gallery in Donji Humac, Brac island, the site today of a bigger Jaksic gallery. If you are interested in local history, please pop in and see us. We are Split’s pre-eminant tour company when it comes to historical tours – all guided by history experts, most history graduates who will make it come alive for you – we promise!! !